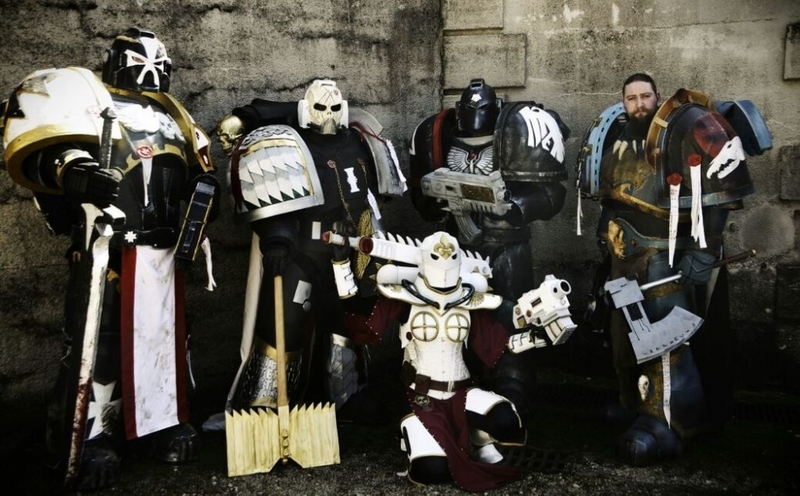 This week on the Cosplay Artist Spotlight, we’re featuring a quartet of Cosplayers who band together in service to the Emperor, creating cosplays that bring Glory to his name! 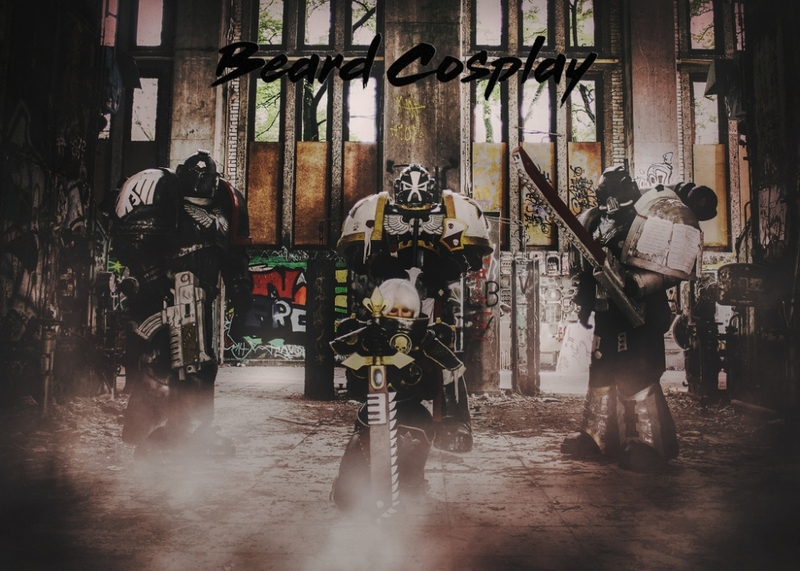 Check out the first part of a multi-week feature of Beard Cosplay! 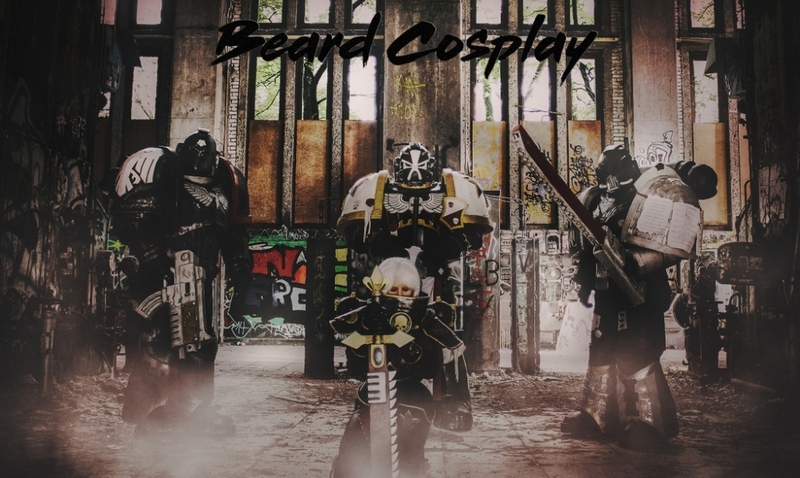 Elisian: I was always interested in cosplay, and started around 2016, thanks to my brother. Cecidith: Like many others i thin, who just said i want that, lets build it. I think i`ve been creating stuff since the last 2-3 years. The first insoiration comes from another Marine, and then it went on. Simon: I started in 2015 when my ex girlfriend asked me to join her to go on a convention. 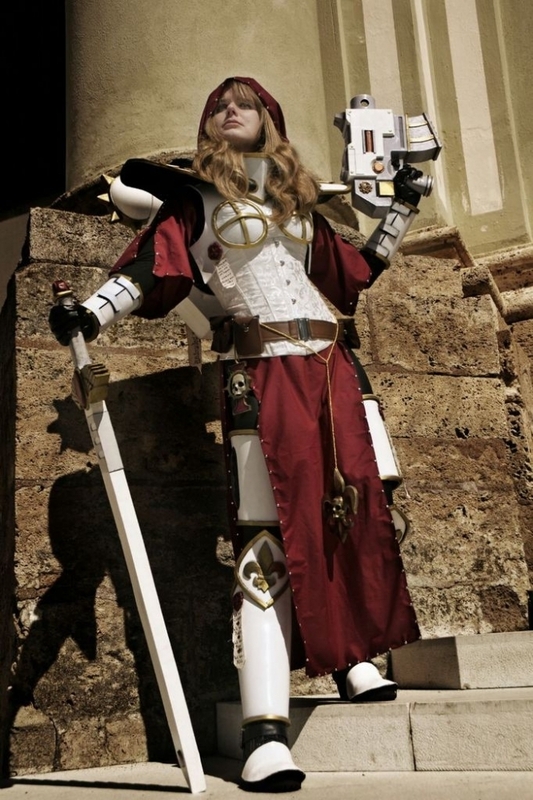 This was the first time I heard about cosplay and was very impressed after watching some Youtube-Videos about it. I liked the creativity and thought by myself: “I want to make this, too!” And so I started with modeling and sewing my first cosplay, Zer0 from Borderlands 2. Elisian: I dont have any, i think. Mike: To get something finished, through the whole process, planing, building and seeing the finished product. Simon: I think it’s the planning and creating new solutions for any challenges like “How am I suppose do this sh..t?!?”. Cecidith: Like Simon, it depends on what i am doing at the moment. It is a little bit of all aspects. 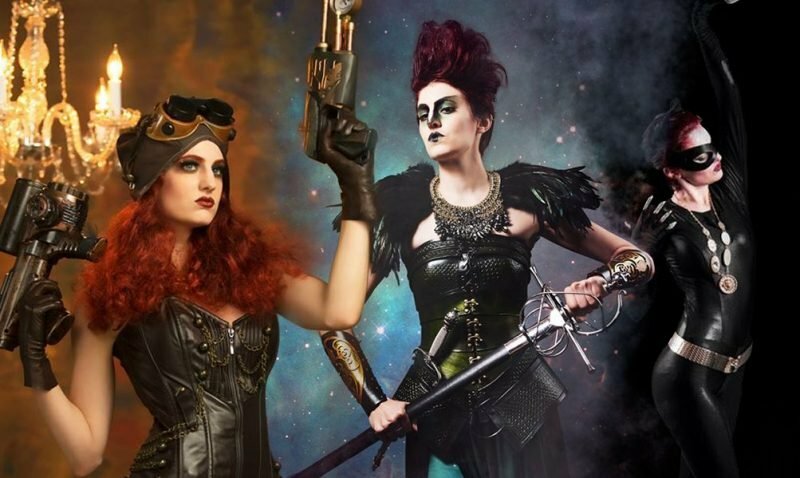 Cecidith: I like to paint my costumes, to see the finished product in the end. Mike: Not to burn myself with the heatgun. Elisian: Painting, definitely paniting. I love to get my stuff colored. Mike: Well, i only have the one Marine, so at the moment, its that one. 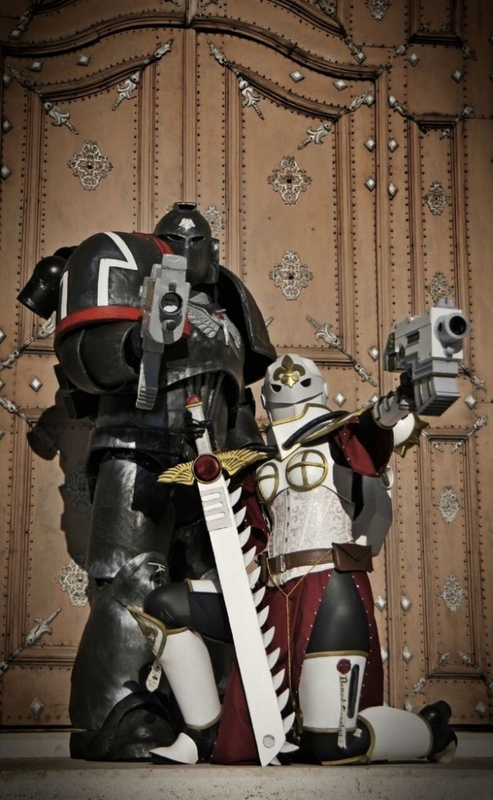 Simon: The most famous one is my Ravenguard-Spacemarine. I created an Ultramarine before, but it has not made very far (mostly because of bad crafting and design). 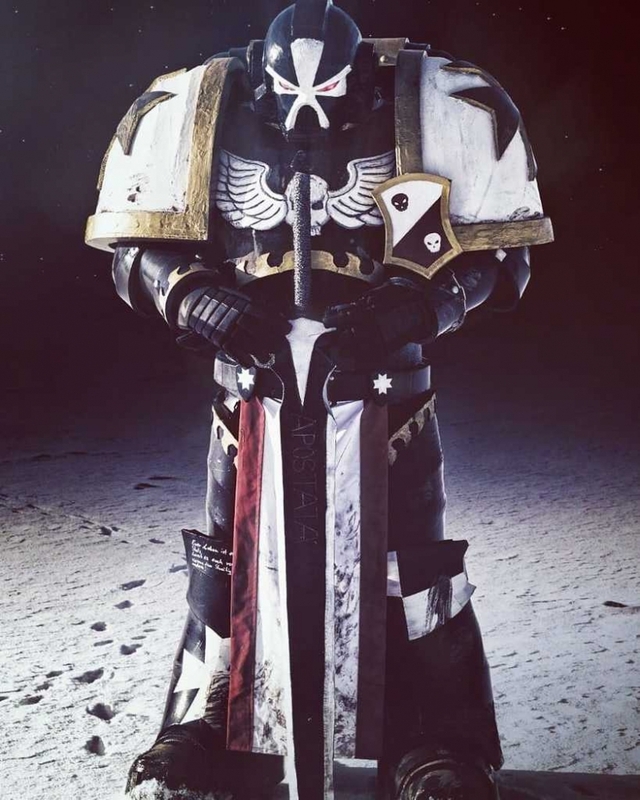 Cecidith: My Black Templar armor, because it is my first one. Simon: As I mentioned before, EVA-Foam. Elisian: EVA-Foam, because if iits finished, its extremly comfy to wear. Mike: Im with Elisian, as she said, its nearly comfy to wear in 25° Sunlight, and easy to cut and glue. Cecidith: So we can all agree, EVA-Foam is our preffered material. Cecidith: Space Wolves, cause they are badass. Elisian: Everything that shows strength. Mike: What to say, original a Trekkie I now kinda stick to Warhammer. Simon: That’s a difficult question, because I have not really a favorite fandom or character. Elisian: Mostly Fantasygames on my PC. Mike: Not to exaggerate, al lot of all. Cecidith: A little bit of Tabletop, bur mostly the Warhammer Video Games.